It's a grey, damp morning here today. No gift of a beautiful sunrise, filling the house with warm pink light, like yesterday but I do have an illicit cup of black coffee in one of my special new cups! 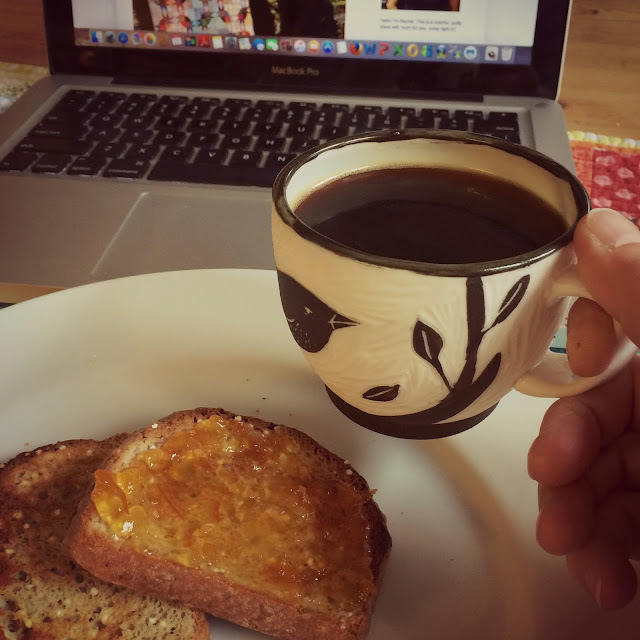 Gluten free toast and marmalade, coffee and time to catch up on my favorite blogs, this is precious quiet time before the business of the day.